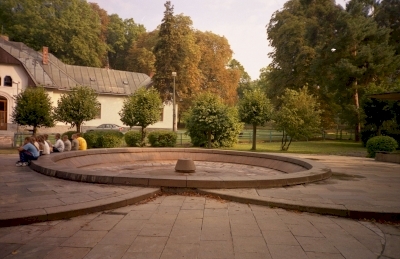 Geyser in Herlany is part of the Tentative list of Slovakia in order to qualify for inclusion in the World Heritage List. I cannot help myself, but this nomination is a joke. Do not expect geyser like in Yellowstone. This one is a fake-geyser, since it is an artificial one. I visited the site during my long walk from Presov towards the Slovakia borders with Hungary alonside the ridge of Slanske vrchy mountains in 2003. The mountains are of vulcanic origin covered with dense beech and oak forests. Besides the forests, I liked also historical core of Presov, magical lake Izra close to Hungary borders as well as unique opal mines close to vilage Dubnik. All in all, despite the certain charm of this part of Slovakia, there are no sites that would deserve the inscription to WHS. Despite its national importance as historical and technical curiosity, the geyser in Herlany was one big disappoint to me.